Cesana Hotels welcome both Italian and foreign guests, who are both tourists visiting the city and business people who attend events at Cesena Fiere fairgrounds. 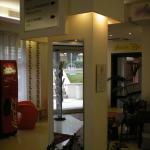 The range of hotels in Cesena is wide and varied, from budget accommodation to luxury hotels & B&Bs. Cheap hotels in Cesena are mostly found near the train station between Corso Roma and Via Europa, while in the historical centre, near the main tourist attractions such as the Duomo, Palazzo Albornoz, and at the foot of the Malatesta Fortress, there are several 3 and 4 star hotels available. All Cesena’s hotels provide standard amenities such as wireless Internet, mini bar, LCD TV, and private bathroom. Guest houses and B&Bs in Cesena are found instead in the historical center of the city. One of the most popular B&Bs in Cesena is Mondo Antico Town House Suite, which features classic wood furnishings, refined environments, decorative furnishings, large paintings and mirrors in the rooms. It also features many other modern amenities such as LCD satellite TV with DVD player, air conditioning and Wi-Fi Internet access. La Locanda Del Castello is a rustic residence located within walking distance from the famous Via Emilia. From here you can easily reach interesting locations near Cesena, Forlì and Ravenna. The Meeting Hotel is within short distance from the center of Cesena and offers cozy and comfortable bedrooms with air conditioning, private bathroom, television with satellite channels. 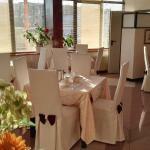 Hotel Alexander is situated in the heart of Cesena and is easily reachable from the airport and the railway station. All bedrooms are comfortable and functional, featuring all modern comforts. 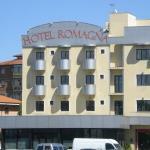 Hotel Romagna is located in the charming old town of Cesena, a few minutes walk from the main tourist attractions. Both the fair and the highways are easily accessible from this hotel.